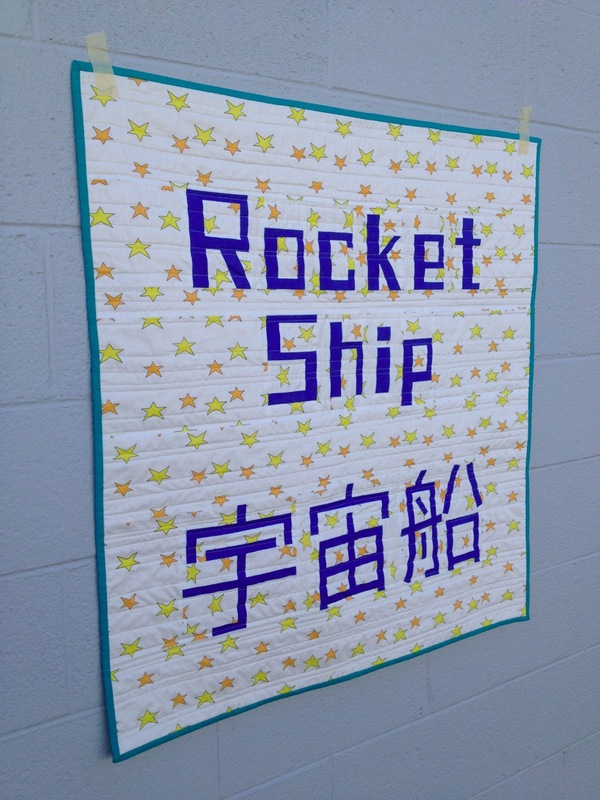 I used Elizabeth Hartman's Refrigerator Magnet Quilt Blocks pattern for the English characters. After mastering the art of piecing with freezer paper (my first time trying it! 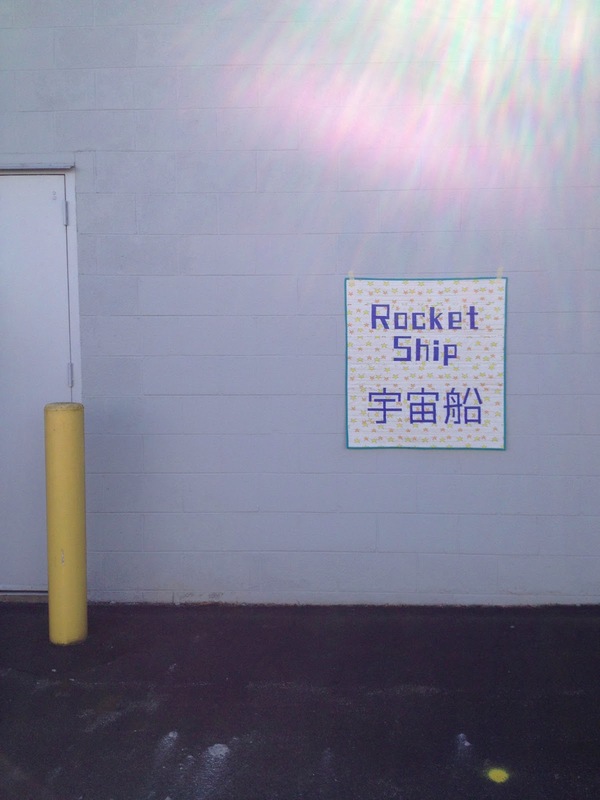 ), I used my new-found knowledge to create templates for the rocket ship kanji. 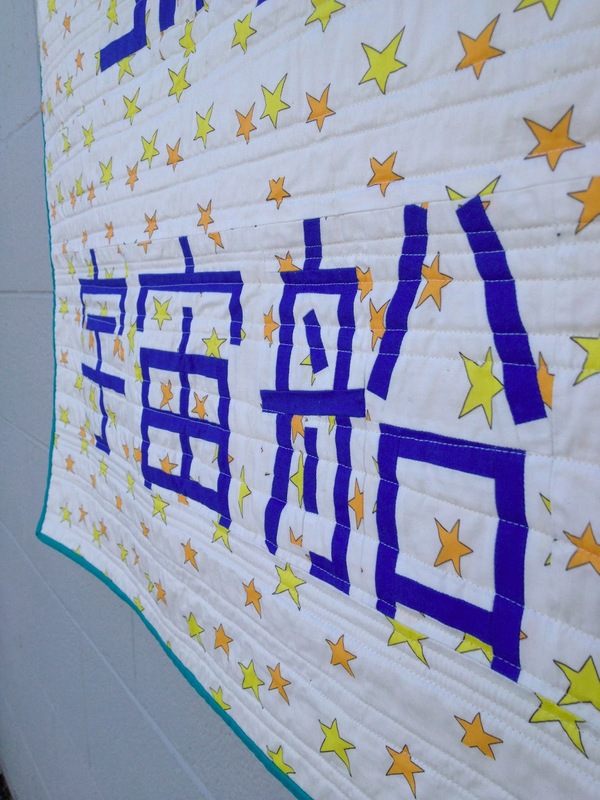 Many, many pieces and hours (and a few episodes of Alias) later, I had pieced kanji. 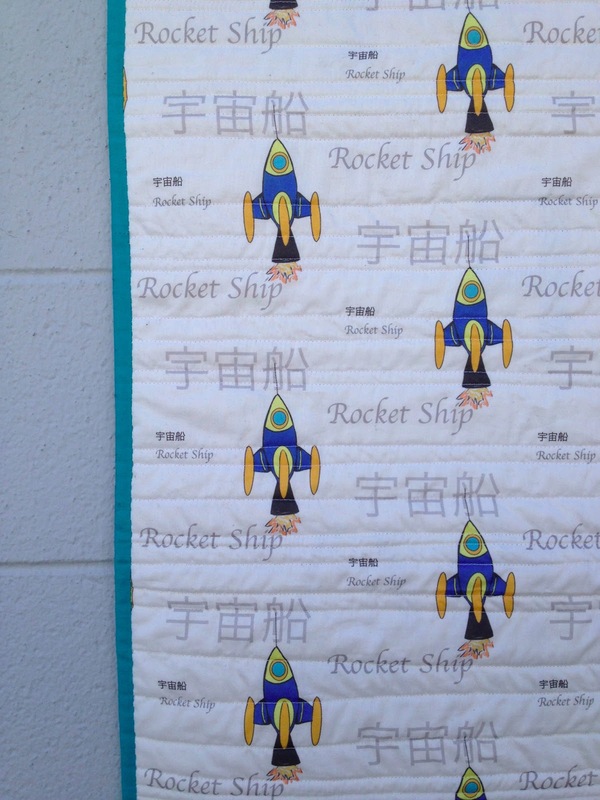 To keep things simple, I did organic straight line quilting across the quilt. 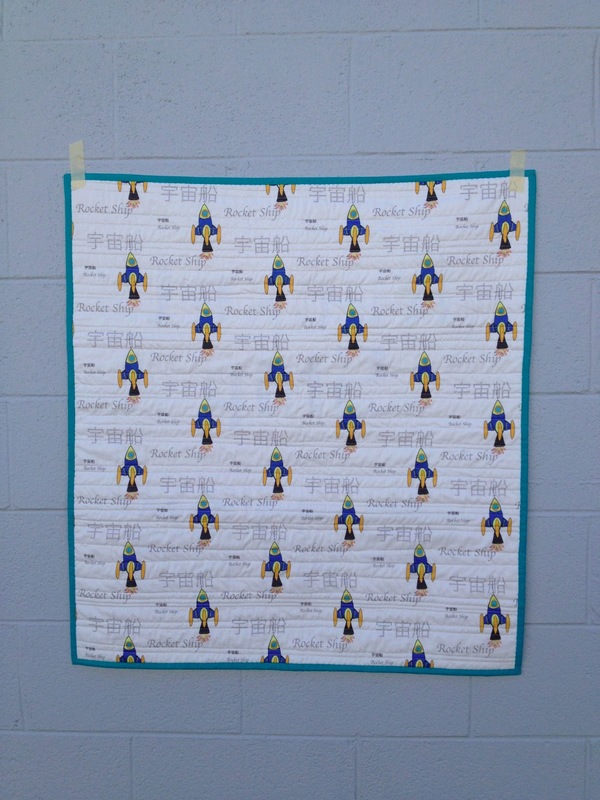 It was fun learning a new skill, and I have lots of ideas about how to use letters in upcoming quilt projects. You can learn a bit more about our project in this blog post my teammate Sarah wrote. Voting for the staff challenge goes through next Wednesday night. 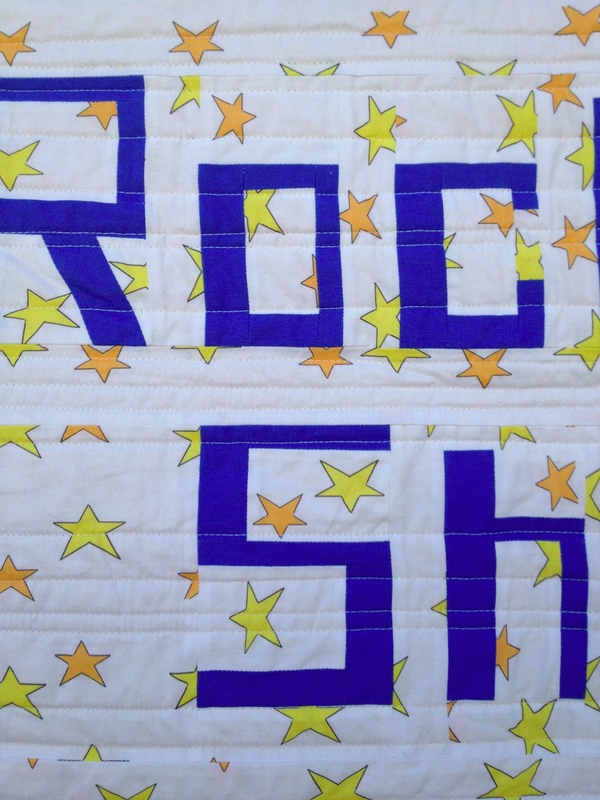 You can see all of the staff quilts here and vote for all of your favorites!